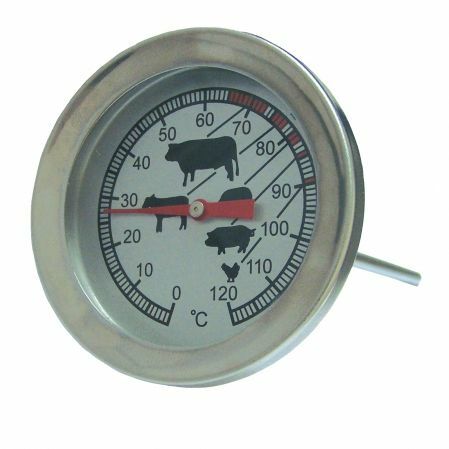 The JRI offers this dial thermometer that is specifically intended to guarantee that a meat is thoroughly done. This is constructed in a 6 cm (L) x 7 cm (H) stainless-steel framework with weight of 30g. Furthermore, it can deliver a thermal measurement range of 0°C up to +120°C with accuracy of ± 2°C and resolution of 1°C.